THE public has the right to know how we voted on the membership of Saudi Arabia in the United Nations Commission on the Status of Women, Government Minister Shane Ross has said. The Taoiseach Enda Kenny and Foreign Affairs Minister Charlie Flanagan have both refused to reveal whether Ireland voted to help Saudi Arabia get a seat on the Commission. Saudi Arabia's treatment of women and denial of women's rights has been a regular source of criticism. Now Mr Ross has branded the secrecy around Ireland's vote as "wrong". The Irish Independent understands that the vote was never discussed at Cabinet - and other ministers were unaware that it was even taking place. Speaking on Morning Ireland on RTE Radio One, Minister Ross said: "I think people are entitled to know how how the nation cast its vote, even though there appears to be a long tradition of secrecy - I think that's wrong. "I think what we ought to do is ask who's in charge how we voted and why we voted that way." The Independent Alliance TD also claimed he will continue to press Minister Flanagan on the issue until it's resolved. He said: "I think we're going to ask him to tell us how Ireland voted, I think it's reasonable, the idea that this could be carried out behind closed doors is wrong. "We're going to make it absolutely clear that we expect transparency, that's why the Independent Alliance is in power. "If he won't answer we'll push it further and keep asking and asking until we get a satisfactory answer." The Transport Minister also said that he's enjoying the "parade" between Simon Coveney and Leo Varadkar as they're the frontrunners to replace Enda Kenny as Taoiseach. 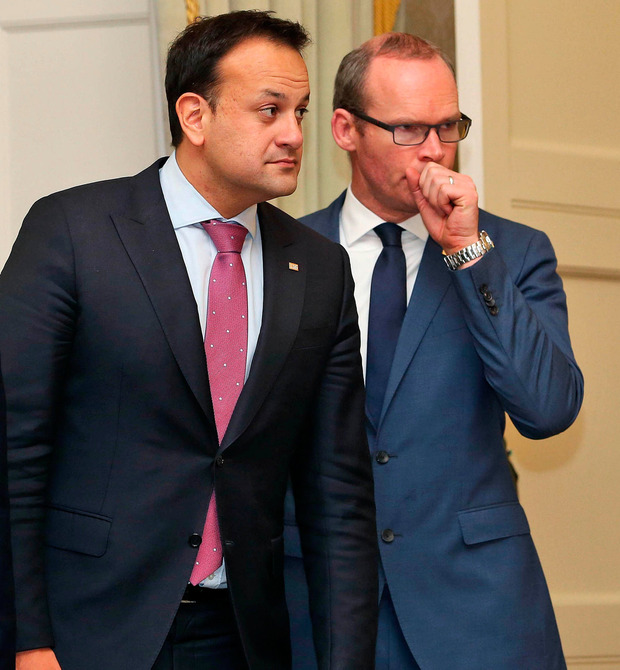 It's expected that Kenny will step down as Fine Gael leader in the coming weeks and Minister Ross branded the leadership rumours as "a distraction" but said he's unfazed by it. He said: "It's kind of a parade going on which everyone enjoys and we love to see Leo and Simon sparring, we'd love to see a television parade but I don't think it's slowing things down, I've seen no evidence of that. "I was talking to Simon Coveney and he's constantly addressing me about issues that we have in common in the department, I've seen no sign of distraction in him. "I've seen Leo Varadkar various times and we haven't discussed leadership at all, we just talk about legislative areas where we overlap. "I'm indifferent to who's leader, I'm concentrated on the programme of government, whether it's Leo Varadkar, Enda Kenny or Simon Coveney if they're are prepared to implement the programme we've outlined then I'm prepared to work with them, otherwise it's really not relevant to me." As the Government reaches one year in power, he also brushed off accusations that they've been slow to pass legislation. He said: "I accept the criticism but there's a lot of people who accept this Dail is different, gone are the guillotines, the late night sittings and bills being rushed through. "The Government is no longer in charge of the Dail but the Dail is in charge of the government and that should be welcomed, things will take longer but that's a good thing." 1. Was Ireland lobbied to support Saudi Arabia securing a seat on the UN Commission on the Status of Women? 2. Did Ireland vote in favour of Saudi Arabia securing a seat on the Commission? 4. If not, who did Ireland vote for? 5. Regardless of how Ireland voted, does the Foreign Affairs Minister believe that Saudi Arabia is a suitable country to be part of an agency that is “exclusively dedicated to the promotion of gender equality and the empowerment of women”? 6. Has Ireland sought support from Saudi Arabia for elections to other United Nations bodies, such as the Security Council? 7. When is the last time the minister met with representatives of the Saudi Arabian government in Ireland? 8. What was the purpose of these meetings? 9. At any point was the issue of women’s rights raised? 10. At any point was the UN Commission on the Status of Women discussed?